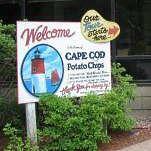 Here on Cape Cod, many of our best activities and attractions cost precisely ... zero, zippo, nada, nothing. 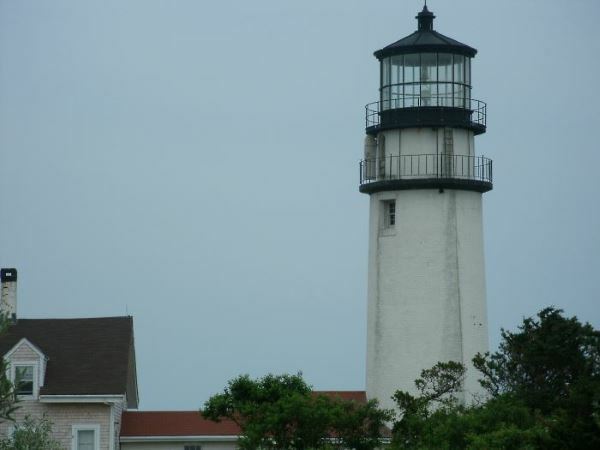 Chatham Lighthouse - Take a Tour! 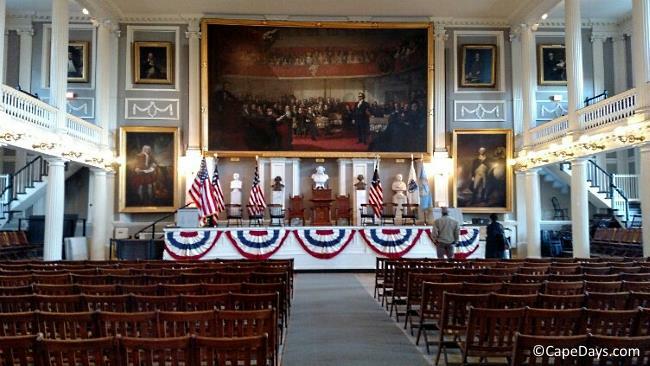 Here's a whole bunch of neat stuff to see and do on Cape Cod, without whipping out your credit card even once. Lighthouse Tours -- Is a lighthouse tour at the top of your "must do" activities list? I hope so! The view from the lantern room is breathtaking! 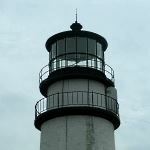 Free lighthouse tours are offered during the summer, and on a limited schedule in the off-season, in Chatham, Eastham, and Provincetown. Cape Cod Canal Activities -- As you drive over the Bourne or Sagamore Bridge you'll see one of the most awesome sights - the Cape Cod Canal. At ground level (or, I should say, "sea level"), it's even more awesome. 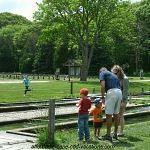 Learn all about the Canal at the Visitors Center in Sandwich. 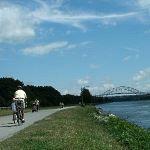 Then grab your bike, your walking shoes, or your fishing rod and go exploring. 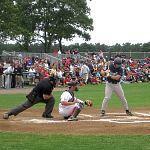 Cape Cod Baseball League Games -- Seeing a Cape League game is a summer tradition! From mid-June to mid-August, we cheer our favorite players on as they vie for the CCBL championship ... and maybe a Major League contract if they impress the scouts. Games are played all over the Cape, from Bourne to Orleans and everywhere in between. 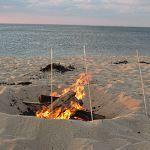 Bonfires on the Beach -- Join in the fun at Herring Cove Beach in Provincetown or Nauset Light Beach in Eastham for kid-friendly Cape Cod activities like songs, games, and tales of Cape history around a crackling beach bonfire. Free bonfire events are held in July & August. 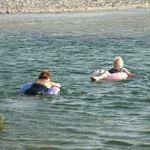 Or bring your own wood and have a private beach campfire any time of year! 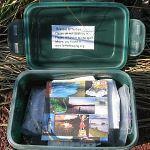 Geocaching -- Treasure hunting on Cape Cod? You bet! Lots of people have hidden lots of things in lots of places, and they're out there just waiting for you to find them. Use your GPS to discover the treasures - and see sights that you won't read about in other vacation guides! 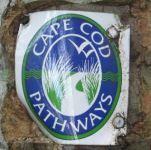 Geocaches can be found all over the Cape. 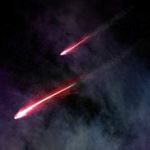 Meteor Showers and Star Parties -- Not into the bar scene? There are more things to do after the sun goes down than you can imagine. Peer through a telescope at a "Star Party" in South Yarmouth. Or just go outside, wherever you are, and look up. You might be awe-struck by what you see! Rollerblading & Skateboarding -- Looking for fun, free activities for your teens? If they're into skateboarding or rollerblading, they'll be happy to find miles of paved bike paths to blade on, all over the Cape. And some excellent skateboarding parks, too. 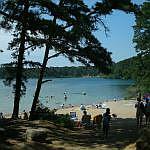 Sandwich Fish Hatchery -- A visit to the MassWildlife's fish hatchery in Sandwich is one of the kid-friendliest Cape Cod activities you can imagine. Be sure to bring a few quarters with you. For 25¢ you can buy a handful of fish food and have tons of fun watching hungry trout leap out of the water to catch your offerings. April to October is best time to visit. Tour the "The Captains' Mile" -- Over 40 historic sea captains homes line this picture perfect stretch of Rt. 6A in Yarmouthport. 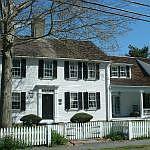 Stop by the Historical Society of Old Yarmouth for brochure about the homes, then enjoy a self-guided tour at your leisure. 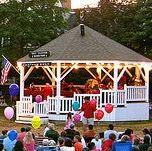 Music and Movies in the Park -- Spread a blanket out on the lawn and get ready for some old-fashioned, All-American fun. 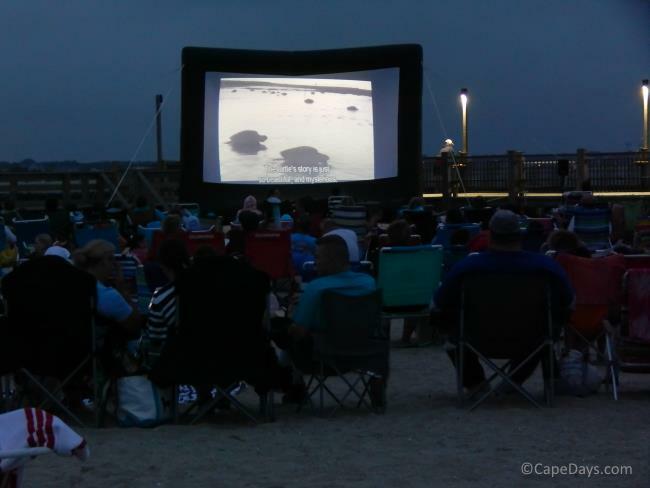 During the summer months, most towns have weekly band concerts on the town green, and a few offer family-friendly movies on an outdoor big screen. Chatham Fish Pier -- Chatham's fish pier is the place to be when local fishermen unload their catch of the day. See the hilarious show as resident seals beg for lunch. 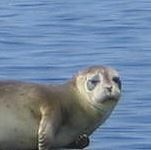 The Pier is open all year, but prime time to see the seals is May through August. Scargo Tower -- The views from Scargo Tower are absolutely incredible. 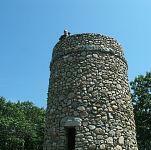 Situated on Scargo Hill in Dennis, the highest point of land on the peninsula, the tower looks out over Scargo Lake and across the Bay. The tower is open year round, and free for the climbing. 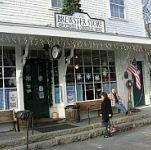 The Brewster Store -- This 1860s country store in Brewster is the real thing! With its old-fashioned nickelodeon, a real peanut roaster, and shelves and bins full of everything from penny candy to hard-to-find kitchen tools - the Brewster Store is a fun step back in time for everyone. Open all year. No charge to stop in and enjoy the 19th century ambiance. Morris Island -- Once you've seen (and photographed!) Chatham Light, continue down Shore Road and follow the signs to Morris Island. 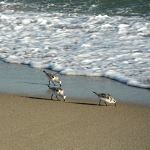 There you'll find a gorgeous 3/4 mile walking trail with great ocean views and lots of wildlife to see. Walk the trails any time. The Visitors Center is open seasonally, with no charge for admission. Rock Harbor -- By day, Rock Harbor in Orleans is a hub of charter fishing, beach activities and seafood feasting. 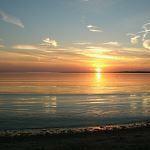 As evening comes, the harbor is a favorite place for one of the finest free Cape Cod activities Mother Nature can provide - watching the sun sink into the horizon over the Bay. Windmills -- Cape Cod took advantage of wind power long before it became the "fashionable" thing to do. 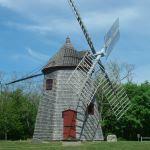 The Eastham windmill (at left) has the distinction of being our oldest windmill, built in 1680. It's honored with a special festival in early September. This windmill, and others across the Cape, are open for touring during the summer months. 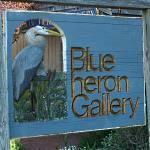 "Gallery Nights" -- Saturday evenings during the summer are Gallery Nights in Wellfleet. Everyone is welcome to stroll from gallery to gallery, join the receptions, and meet the artists. No admission fees are charged. Enjoy Every Moment -- The sparkle of cool sand at sunrise. 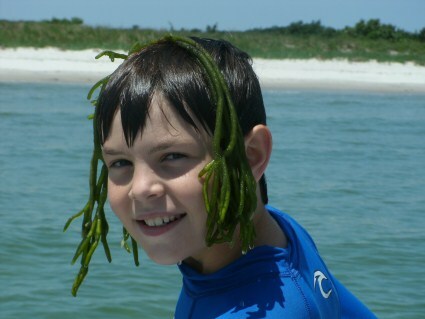 The look on your child's face when she discovers a starfish in a tidal pool. Whatever the moment holds, savor it. 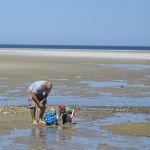 Cape Cod is a special place where you'll make memories of a lifetime! * Note: For the activities marked with an asterisk [*], a vehicle parking fee may be charged in-season.